All products are Kaszazz with the exception of the Hoppy Easter and Bunny rabbit Stamp. And of course I used my Create A Critter Cricut Cartridge. There are five cards and five envelopes in this box set and I have to laugh cause it took me longer to cut out and assemble the 6 rabbits then it did to make the box. 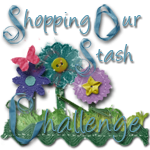 I am also planning to enter this one into the Stamping Vacation Challenge - Occasion Oasis Challenge - Easter. Edited 9 April 2011 - Our name was drawn out of the hat third and we won a huge basket full of Easter Eggs, coffee cups and some yummy hot chocolate sachets!!!! LOVE this Kel, that bunny with his carrot is SO cute! Great box of cards, someone is going to be very happy with! 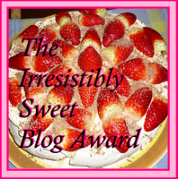 I've awarded you a Leibster Blog Award cause you're terrific! 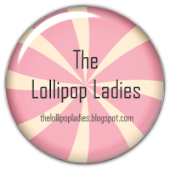 Visit my blog to see what you need to do to pass the love forward!